Life is an adventure, which is why we love to spend time with our families exploring some of the great cities, resorts, and attractions this world has to offer. Sometimes you don’t have to travel too far, or spend too much money, to find a destination that really takes the breath away, and that you’ll want to visit and explore time and time again. That’s certainly the case with Toronto, the Canadian city that has something to suit everyone, regardless of their age and interest. The only problem with Toronto is that there’s so much to see and do there that it can be hard to know where to start, which is why we’ve compiled this guide to ten Toronto attractions that you’re sure to love. One of the great things about Toronto is that you can reach it from major cities across Canada, the United States and beyond. For example, flyporter.com have flights from Ottawa and elsewhere, and flights from Ottawa to Toronto can be both convenient and affordable. 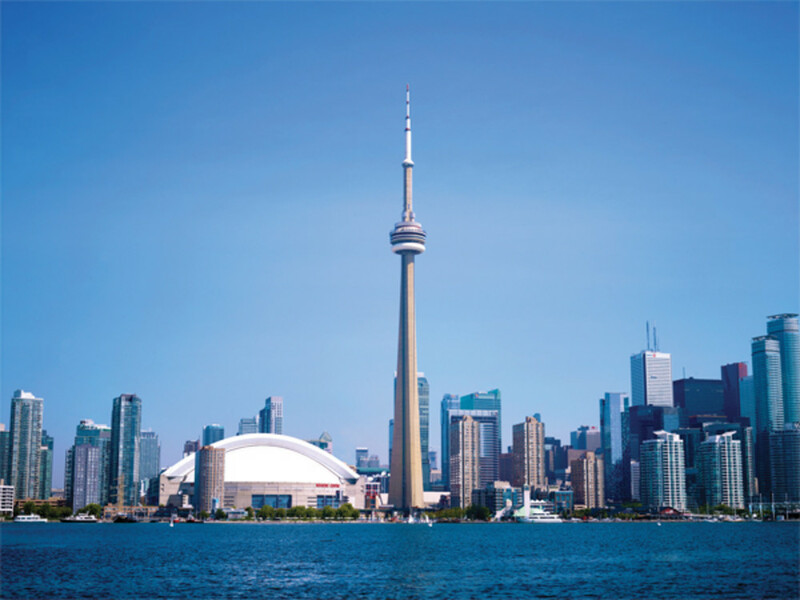 Once in Toronto, the first thing you’ll want to see is the world-famous CN Tower. In fact, you’ll have no choice but to see it – with a standing height of more than 500 meters, it dominates Toronto’s skyline. We highly recommend a trip to the very top of the tower, where you can enjoy fine dining as you’ve never enjoyed it before, thanks to its panoramic, revolving restaurant. Toronto is a city that really loves its sport, and you’ll find major league franchises here for soccer, American football, basketball, and more. There’s one sport more revered than any other in Toronto, however, and that’s ice hockey. 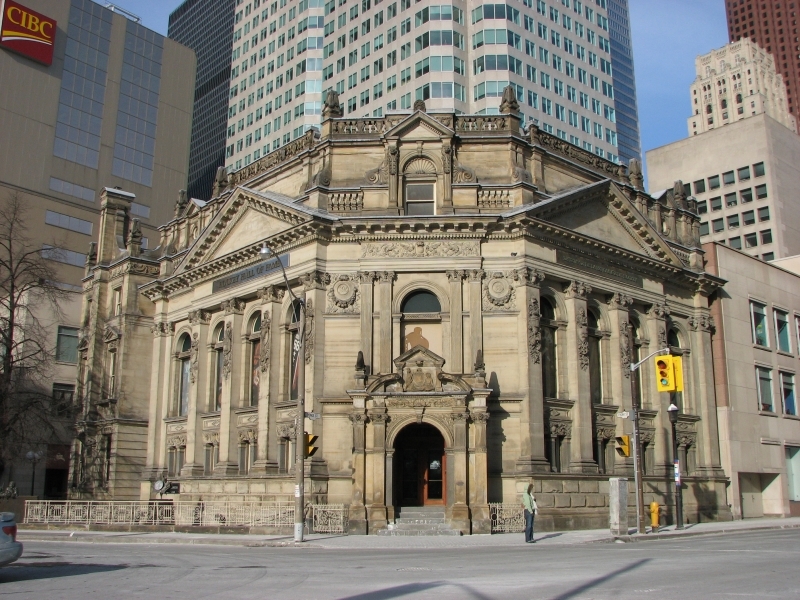 The Toronto Maple Leafs, then known simply as Toronto, were one of the original six teams that made up the first National Hockey League in 1942. This history and a lot more are recalled in the Hockey Hall of Fame. Put simply, if you love hockey then you will adore this museum, and there’s lots of exciting merchandise to be bought there as well. The Niagara Falls are 46 miles due south of Toronto, but many people travel from Toronto to visit this most stunning of world waterfalls. You can explore the falls in a day and be back in Toronto by nightfall, and you can choose to travel by bus or helicopter. 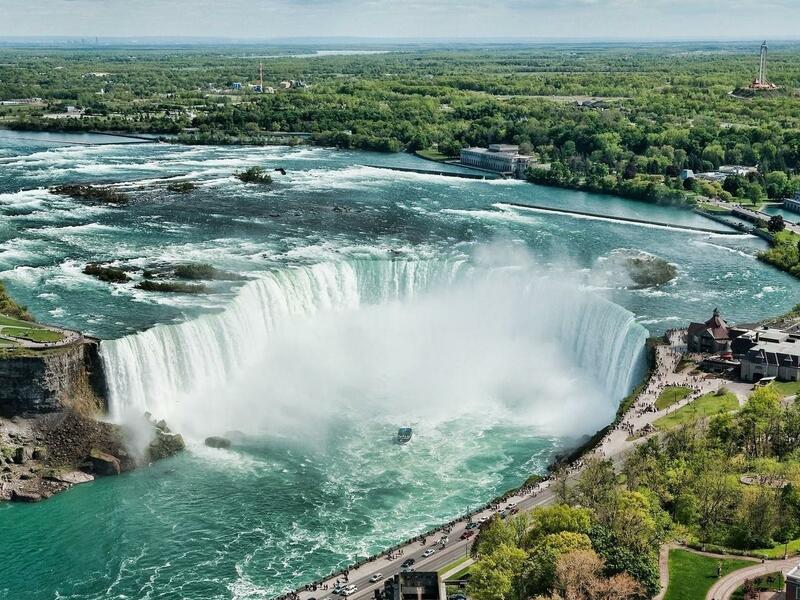 Viewing Niagara Falls by helicopter is an experience that you’ll never forget, allowing you to get a great impression of nature at its most powerful and most beautiful. By the way, although legendary escapologist Harry Houdini loved Niagara Falls, he never went over them in a barrel as popular myth states. 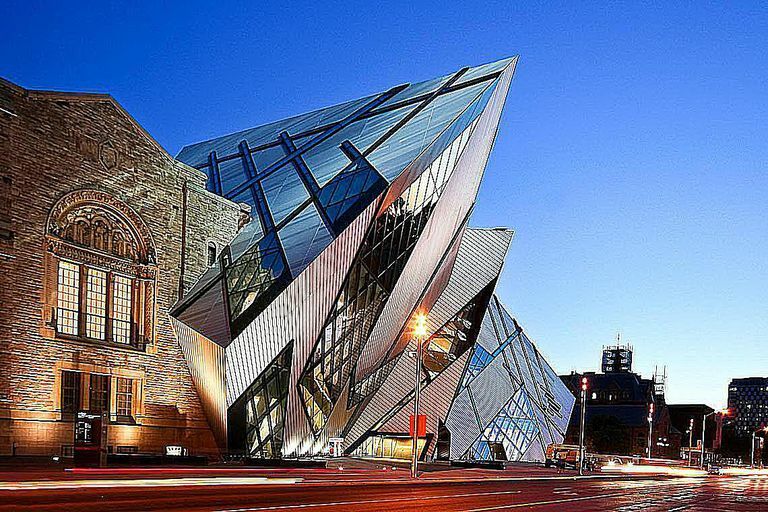 The city of Toronto, like the province it sits in and Canada itself, has a rich and varied history, and it’s captured perfectly within the Royal Ontario Museum on Bloor Street. The museum goes back a little further than the founding of the city, however, as it’s one of the world’s greatest museums dedicated to paleontology and the natural world. If you’re fascinated by fossils and dinosaurs, or by science in general, then this is a museum that you’ll want to visit on many occasions. Toronto has a youthful population, thanks in no small part to its world-class universities. When the weekend arrives, many of them head towards the city’s Entertainment District, which offers a dizzying choice of bars, cafés, and clubs. 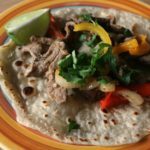 Whether you like listening to live rock music or dancing the hours away to the very latest club tunes, you’re sure to find something that meets your taste in the entertainment district. Is there any better family day out than a trip to the zoo? Toronto Zoo is famous across the world, and once you’ve visited it you’ll understand why. It’s home to more than 5,000 animals, and you’ll be able to see everything from rhinos to giraffes, hippos, tigers, polar bears, and pandas. 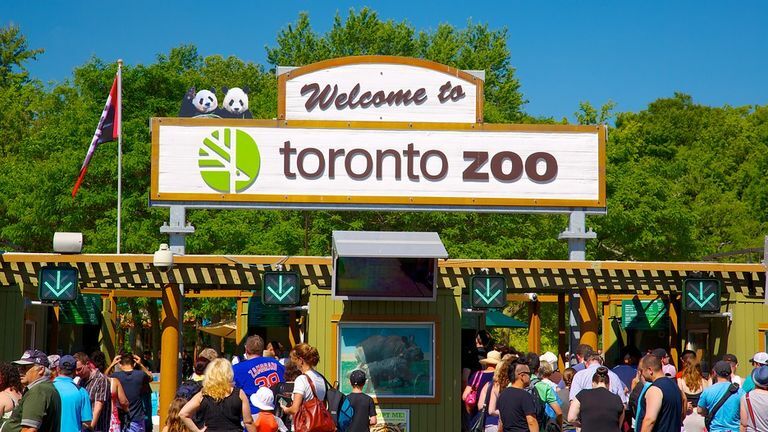 What’s especially great about Toronto Zoo is that they place an emphasis upon animal welfare and conservation, so that each animal is given first-class care and lots of room to roam about in. 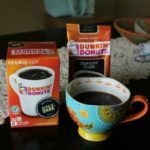 It’s a large zoo, so it can be worth dedicating a morning, afternoon, or even a full day to seeing what it has to offer. The seas around Canada are filled with some of the world’s most exciting, spectacular, and sometimes downright odd aquatic life. You don’t have to be a scuba diver to see them up close, however, thanks to Ripley’s Aquarium of Canada at the foot of the CN Tower. 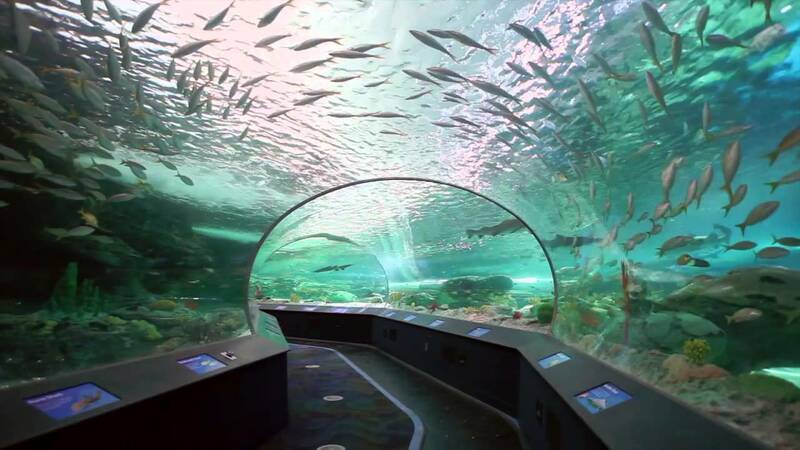 It has fish of all kinds and all sizes, but of particular interest are the shark tanks. Look out for their special ‘sharks after dark’ events, and if you don’t want to join a large queue, it makes sense to book in advance via their official website. 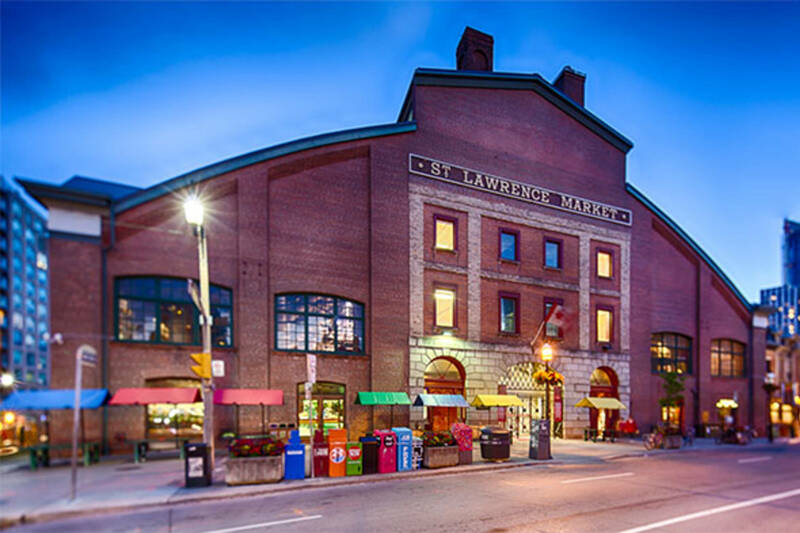 Toronto is a shopping lover’s dream, but whilst there are all the big name and designer shops you could wish for, many visitors head to St. Lawrence Market for a more timeless shopping experience. When you enter the market, the first thing that strikes you is the stunning Victorian-era architecture, but you’ll then be swept away by the sights and sounds of a market in full swing. 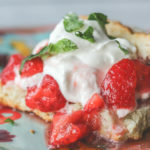 It’s famed for its locally produced food and drink stalls, as well as artisan goods that make perfect souvenirs for yourselves or those who haven’t yet been fortunate enough to visit Toronto. 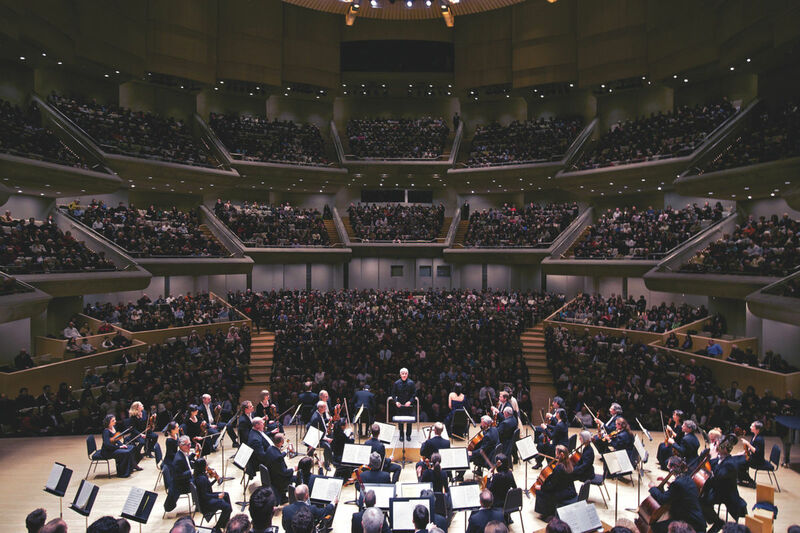 If classical music is more your thing than the rock, pop, and dance music to be found in the Entertainment District, then you should visit the Roy Thomson Hall, home of the Toronto Symphony Orchestra. It is renowned across the globe for the strength of its ensemble, attracting the very best musicians from across Canada and beyond. In 2022, it will be celebrating its centenary year with a special program of events and concerts, but whenever you see this orchestra you’ll be wowed by their passion and precision. As you might expect from its name, the Distillery District was once home to a distillery. 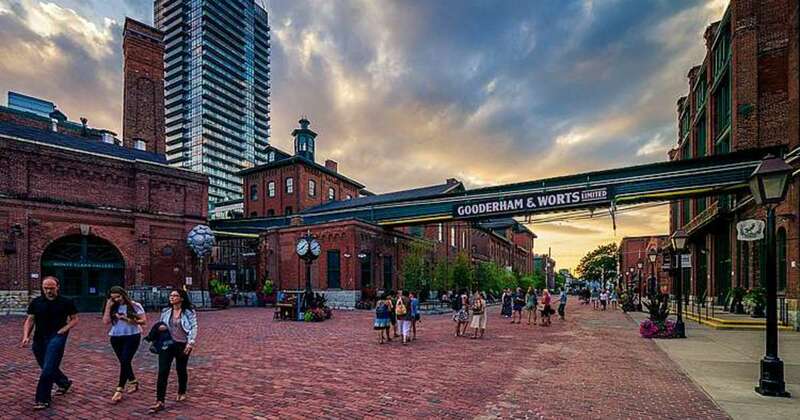 In fact, it was once home to the world’s largest distillery, but while that has now gone, you can still find some of Toronto’s best bars and watering holes here. 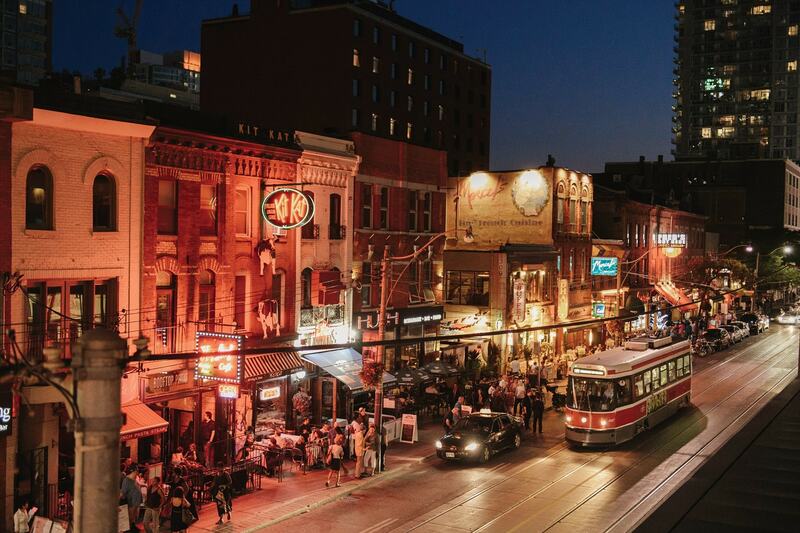 It has become Toronto’s trendiest district, and so is the place to go to see artists and poets at work, to visit unique craft shops, or simply as a place to relax and recharge your creative batteries. You’ll also find independent theatres and art galleries here, nestled among streets that have changed little since the nineteenth century. Whether you go for a weekend or a fortnight, or even if you decide to make your home there, time spent in Toronto will always be a joy. These ten attractions should be at the very top of your to-do list if you’re a first-time visitor, but there will always be unexpected gems that catch your eye, so it pays to have a flexible timetable. With regular flights from Ottawa to Toronto, and from other cities, it’s a location you should see and enjoy at least once in your lifetime. My brother and his wife and kids live in Toronto. We have been to most of these numerous times over. The zoo is amazing in Toronto. It is well worth visiting. Ripley’s aquarium is a great one too. So much to see and do. I have only visited twice and for not very long. I can’t wait to go back.